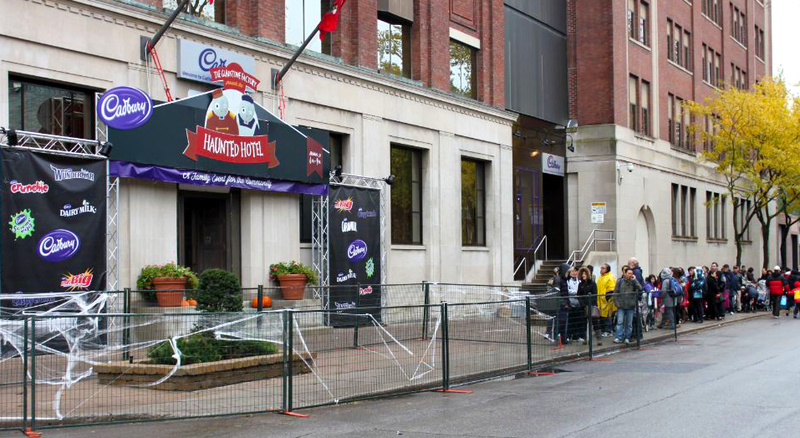 Every year the workers at the Gladstone Cadbury Factory but on a big haunted house trick or treat extravaganza for the neighbourhood. Thousands of people show up for a chance to get their hands on some great candy and a scare. The ask was to create a fun theme that the employees at the factory would love to participate in and to be inexpensive to produce props and signage. 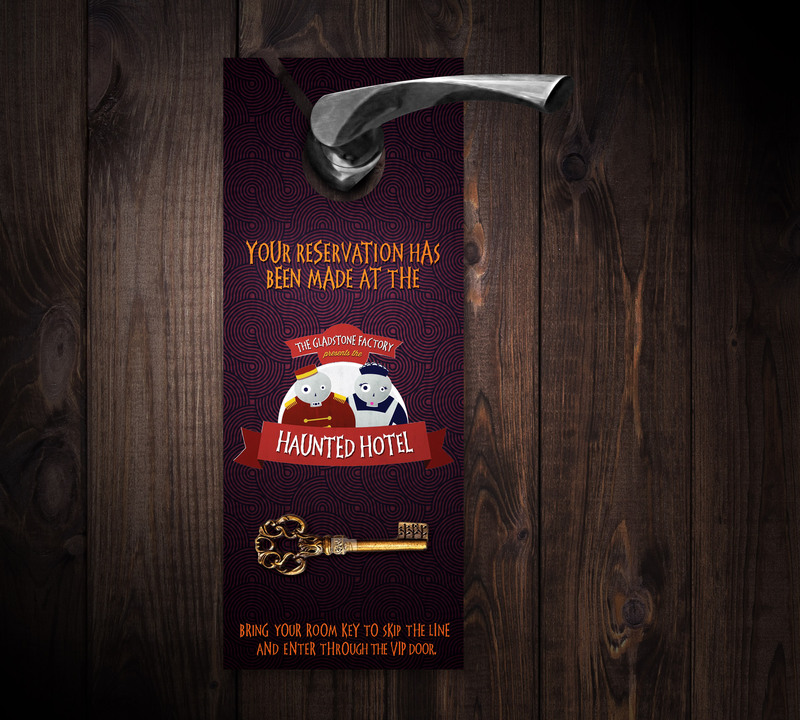 Our Haunted Hotel idea was an immediate hit. 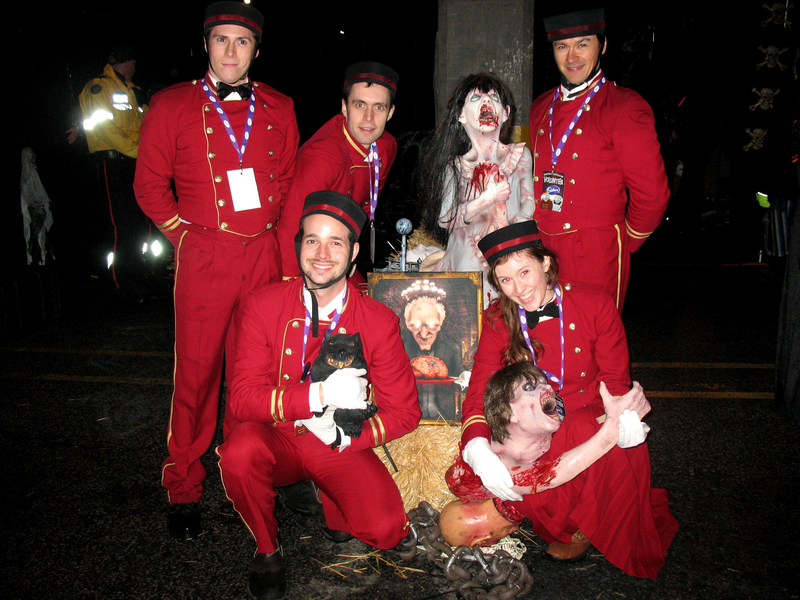 The staff was bursting with ideas of what they were going to dress up as and the costumes also functioned logically where our zombie bellboys would usher people and create order amongst the excited children and parents. I illustrated and designed a logo to communicate the theme and got creative with the hand delivered invitations by designing a door handle invitation to really communicate the theme. As a plus up we suggested giving old keys on each invitation and one lucky neighbour would be able to unlock luggage full of Cadbury treats.